Now invest in more no-load mutual funds for as little as $100. Diversify your portfolio with Schwab Mutual Fund OneSource® service. No-load, no transaction fee mutual funds allow you to buy and sell mutual fund shares without incurring a commission—leaving you with more assets to invest. And now you can invest in these funds for as little as $100 through Schwab Mutual Fund OneSource service. Invest in no-load, no-transaction-fee mutual funds actively managed by experienced professionals. Find managed mutual funds to complement your portfolio and investing goals. Conduct mutual fund research using advanced predefined screens or criteria you select. 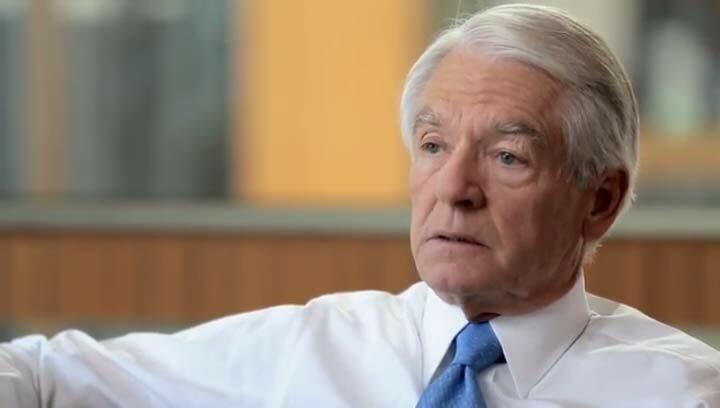 Charles Schwab talks about the inspiration for an easier way to invest in mutual funds. Find and compare mutual funds that complement and diversify your portfolio. Get Schwab guidance and insight, along with tools designed to help you select the mutual funds that best complement your portfolio. See our experts’ top performing mutual fund picks. Choose from funds designed for both growth and income. Create a diversified portfolio based on type of investment, mutual fund or ETF, your risk profile, and initial investment. Compare funds using our mutual fund screener. Read these articles for helpful information and insights. Schwab’s short-term redemption fee of $49.95 will be charged on redemption of funds purchased through Schwab’s Mutual Fund OneSource service (and certain other funds with no transaction fees) and held for 90 days or less. Schwab reserves the right to exempt certain funds from this fee, including Schwab Funds®, which may charge a separate redemption fee, and funds that accommodate short-term trading. Trades in no-load mutual funds available through the Mutual Fund OneSource service (including Schwab Funds), as well as certain other funds, are available without transaction fees. For each of these trade orders placed through a broker, a $25 service charge applies. Schwab reserves the right to change the funds we make available without transaction fees and to reinstate fees on any funds. Charles Schwab & Co., Inc., member SIPC , receives remuneration from fund companies participating in the Mutual Fund OneSource service for recordkeeping and shareholder services and other administrative services. Schwab also may receive remuneration from transaction fee fund companies for certain administrative services.